If your key is stuck in your ignition what is the best thing to do? Should you force it to turn so that you can start your vehicle? Or should you call a qualified technician to have? Calling for assistance is the best thing you can do because it ensures that you don’t break anything and that you get help quickly. 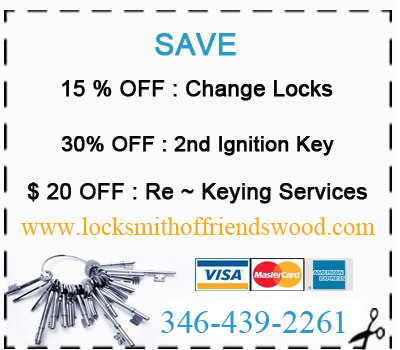 If you need help to replace ignition key, call King Locksmith of Friendswood. We are available to give our driving customer the help that they need quickly. We are also accessible 24 hours a day, 7 days a week. If you need assistance, our highly mobile locksmith service will come and help you. If you have a remote that can’t work because it needs to be programmed, we can do this job for you quickly. We can give you transponder key programming services easily and quickly because our technicians have the experience and as well as the skills. You don’t know how, but somehow today you lost our vehicle keys for the first time since you started driving five years ago. You have been meaning to keep a spare in your purse for some time but never got around to doing it. Now you are stuck and unless someone comes to give you help quickly you will be stranded. If you need Car Key Replacement service, we will be able to help you.